The Competition Commission’s Report, the Report of the Office of Health Standards which found that only five state hospitals in South Africa meet the required standards, the SA Human Rights Commission report on cancer care and, above all, the Esidimeni tragedy, tell us that the need for primary healthcare and universal access have never been more important. This two-part series is looking at what recent reports – the Second National Burden of Disease Study for South Africa; the 2016 Demographics and Health Survey of South Africa, and Saving Babies: A Triennial Report on Perinatal Mortality – are warning South Africans about the State of our Nation’s Health. Together with the three recent Health reports another recent report is very instructive. 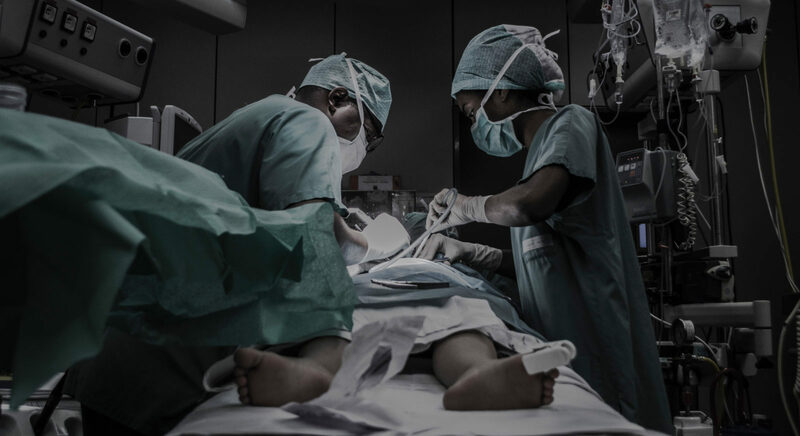 The Competition Commission’s Report on the private healthcare industry reveals that overcharging and both cost-push inflation and demand-push inflation are pushing us into exorbitant outlays for healthcare. At the same time the crisis of public hospitals – on which the vast majority of South Africa’s people are reliant – is well known. This crisis is particularly daunting given government’s commitment to universal access to healthcare contained in the white paper on the National Health Insurance (NHI). Essential drugs for TB and HIV (especially drugs such as bedaquilline for MRTB) are lacking or budget cuts in some provinces are leading to inadequate supplies of essential drugs. In many quarters this crisis in the Public healthcare system gets blamed on over-crowding – as if the poor are to blame for their own health misery. Frequently one hears xenophobic utterances from both commentators and government – saying that South Africans are simply over-populating and foreigners are crowding our hospitals. Yet the facts tell us something else. The Saving Babies 2014-2016 Triennial Report on Perinatal Mortality in South Africa tells an important story. First, South Africa’s birth rate is in decline. There has been a year-on-year decrease in the total number of deliveries since 2012. This is, in and of itself a surprising statistic, given that the population has now risen to 57-million. It is also, possibly, an appealing one. Declining birth rates are often associated with, all things being equal, improving quality of life and greater control by women over their life choices. Women can move into jobs and careers and choose other lifestyles other than motherhood. Also the demands on public resources can become less burdensome over time. So in many countries a declining birth rate is good news. Second, the data shows a slow but sustained decrease in all important mortality areas over the past three triennia. Off all deaths recorded on PPIP in SA, 98.1% of babies are born alive and of these 98.9% survived until discharged from hospital. But two things are important here. First, it debunks the notion that South Africans are making too many demands on public services by a growing population. The increased demands are coming from the growing susceptibility of young adults to HIV and the increased demand for ART. South Africa’s social determinants of health indicators are not poor because we have a rapidly growing population putting overwhelming demands on limited resources but because we do not have a commitment to invest in improving public services. Ours is not a problem of over-population but one of inequality and economic policy choices which favour private investment over public well-being. Second, they are long-term indicators that South Africa has to begin to prepare for a demographic shift. For many decades high adult death rates and high birth rates meant that South Africa, unlike the highly industrialised countries, has had a youthful population profile. This report warns us that this is changing – our long term priorities will have to include planning for care of the aged, the availability of retirement funds, and so on. But read in combination with the Second National Burden of Disease and the Demographics and Health Reports the picture which emerges is not one of a falling birth rate as an index of improvement in the national standard of living but of a population threatened by the four intersecting Burden of Disease epidemics identified in Part 1. But if we combine the information about lower birth rates with the avoidable perinatal death rates we have in what are eminently solvable diseases then we have a story not so much of higher living standards and better female choices but of a growing healthcare crisis. South Africa is also the most unequal country in the world. This much we know. But this is not just a matter of the economics of income and assets owned. It is reflected in the state of the nation’s health – its physical and corporeal existence. The problem is that this dire situation remains hidden from public opinion and media comment because they are focused on the bubble of middle-class existence. And if this dire emergency were not bad enough, in and of itself, the world of policy and policy debate is moving in the opposite direction. Scared by threats of rating agency downgrades and the corruption in the SoEs, public opinion is being marshalled by an economic fundamentalism that calls for less, not more, public resources. This, in thrall to the mantra that we need less state provision of public services so that the “economy” may grow by “free markets” and unhindered by government “dissaving”. Municipalities are responsible for water provision as the most life-providing of public services. Yet Municipal Services Project studies in 2002 and 2012 have shown that municipalities have had intra-government transfers significantly cut after 1996 and are increasingly reliant for revenue to provide services on self-generation such as debt (municipal bonds in the case of the large metros), increased local service charges and cost-recovery initiatives such as pre-paid meters. Faced with the scissors-effect of increased responsibility and a declining share of national fiscal resources, local authorities have also exhibited the least capacity for financial management. In other words, just when the dying canaries are telling us that it is time to spend on public healthcare and basic services, water, sanitation and housing we are being pushed into opting for the “necessary reforms” of the labour market flexibility, austerity, tight budgets, global high-tech competitiveness and public-private “partnerships”. In the case of healthcare the fact that we have two healthcare systems – an increasingly expensive private one used by those who can afford it, and who have access to medical aids, and a public health system which is under-resourced and yet used by the majority – is often defended by those insiders for whom the state of the nation’s health is seen as a threat to be kept at bay rather than addressed. Meanwhile economists debate the affordability of healthcare for all, as if human health can be quarantined on some desert island. Instead the Competition Commission’s Report, the Report of the Office of Health Standards which found that only five hospitals in South Africa meet the required standards, the SA Human Rights Commission report on cancer care and, above all, the Esidimeni tragedy, tell us that the need for primary healthcare and universal access have never been more important.